Japan blanked Europe on Tuesday 6-0 behind strong pitching and timely hitting. Dutch starter Maickel Rietel pitched his best game of the winter league, going five innings, allowing just one run, striking out three while walking only one. As was the case the prior day, Europe’s bullpen was it’s achillies heal. Offensively Chris Howard went 1-for-3, raising his team leading average to .370. 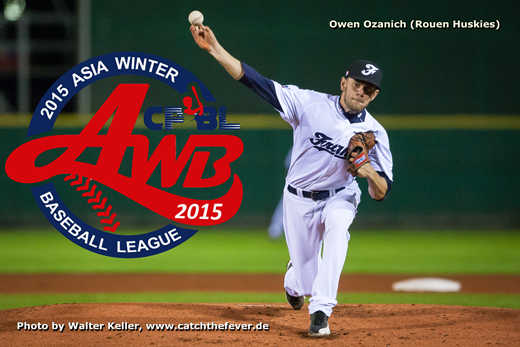 Europe takes the field one final time Wednesday against the home team CPBL. Rouen Huskies pitcher Owen Ozanich is scheduled to start.